16 Dec Can’t Touch This? Traveling and staying at a hotel is a key component to the journey itself. The hotel may have been selected for any of a number of reasons; price, location, amenities, partnership with various companies, trade show, wedding or other possibilities, but at the end of the day, guests are looking for an experience and a memorable stay. Travelers want to feel appreciated, listened to and generally made to feel important. The intangible components are what build loyalty and are critical to the experience. For some, this stay is paid for out of their own pocket, and, depending on the market one finds themselves staying in, a room could cost upwards of 10 to 15 percent or more of their monthly mortgage payment – for just one night! Therefore, the pressure is on for the hotel to deliver value to each and every guest. They have sold the benefits of their hotel to the public via marketing and sales expertise, the desk welcomes you and starts you off on the right foot and offers assistance should you need anything during your stay, housekeeping has expertly made the bed with quality linens and cleaned the room, management has inspected it prior to your arrival, and maintenance has checked to ensure everything is in working order and in good condition just for you. Opening that door to the guestroom, that fresh scent, the modern look and feel of the design, amenities and perks ready to be enjoyed; the hotel is working hard to exceed all expectations and provide value for the price paid. Guests who stay a second evening get to experience the continued attention that can come from the housekeeping department. The next day, when housekeeping returns, they want you to know they value you and are looking after you during your stay. Housekeeping will tidy the room, take out the trash and give you fresh towels, but some go a step further, they arrange your personal belongings in such a way to show they have cleaned in the area around them and gave you special attention. Some people find that part intrusive or get uncomfortable knowing someone has touched his or her belongings. I tend to believe this effort is part of what our industry prides itself on, being hospitable and taking care of one another. Placing your toothbrush inside a water cup so it can dry better than where you left it laying on the sink, laying your razor and toothpaste on a wash cloth, placing your bar of soap in a soap dish so it doesn’t stick to the countertop so you can use it again easily; these are all extra efforts showing care to you as their guest and are part of the experience. 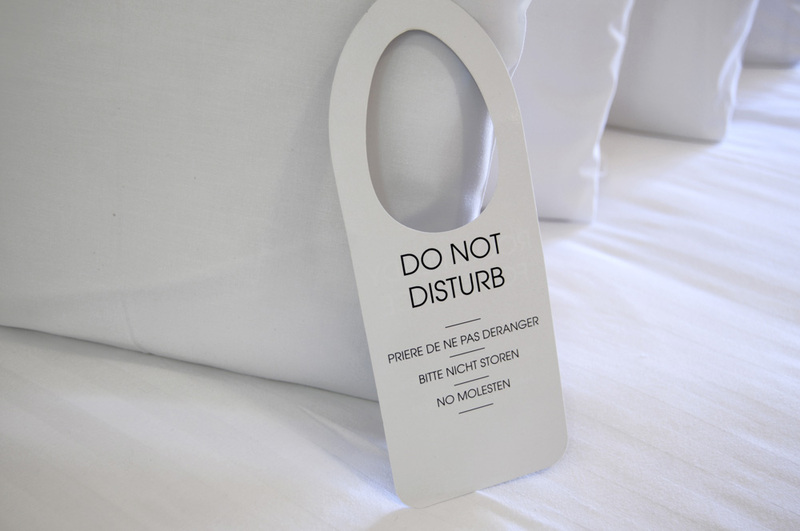 For those who feel that the hotel staff shouldn’t touch anything belonging to a guest, you may be short changing yourself and missing out on being treated exceptionally well and maximizing what hotels are striving to deliver during the short window they have while you are their guest. You’ve just opened my eyes Sir. I’ve not “allowed” myself this level of pampering! Finishing up this year with just under 140 room nights traveling, I may give it a shot in 2016! I’ve tried to tip well and lessen the hard working staff’s load but maybe I do deserve a week or two off here and there!